Summit Racing now carries five types of FUELAB Fuel Pressure Regulators for carbureted engines. They provide stable fuel delivery to any carburetor running on gasoline, E85, or methanol. 515 Series regulators are a bypass design with a -6 AN return port on the bottom. Your choice of -6 AN or -10 AN inlet and outlet ports. 525 Series regulators have the same features as the 515 Series, but with the -6 AN return line port inline with the inlet/outlet fittings. That makes them ideal for use in tight spaces. 555 Series regulators are non-bypass style with an advanced poppet design to smooth out fuel pressure spikes, plus a no-creep soft seat that is methanol and E85 compatible. They have one -8 AN inlet and two -8 AN outlet ports. 575 Series regulators work just like the 555 Series regulators, but are smaller and 50 percent lighter. They have -6 AN inlet and outlet ports. The 5010 Series regulator is a bypass design with -10 AN inlet and outlet inline ports and a -6 AN return port on the bottom. 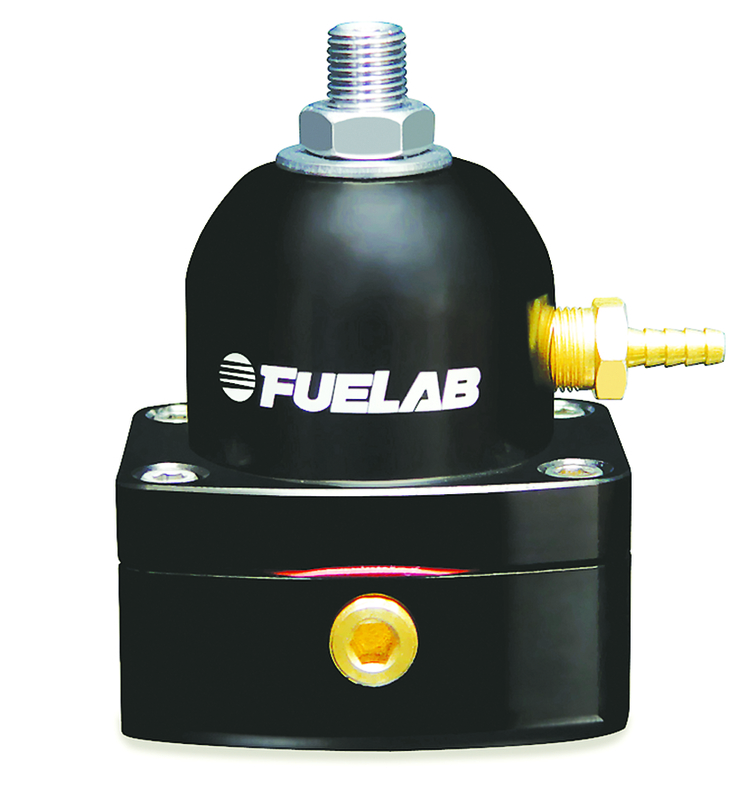 FUELAB recommends using this regulator with its Velocity Series Lift Pumps for diesel applications.